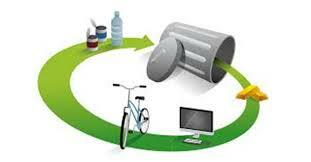 A waste-free and sustainable circular economy cannot work without transparency, open access and open source solutions. Do you want to help bring about sustainable change? Are you a fan or either open source, or circular economy (or even both)? Do you enjoy making and creating stuff, and learning at the same time? Do you want to get involved in a global movement? Over the last couple of years I’ve been going on a journey from disengaged citizen with a comfortable life, to being challenged by all sorts of exciting ideas around system change. This has both hugely enriched my life and also forced me to think about what part I might play in bringing it about. (I discovered 6 heads about part way through, and it has been a huge pleasure to be a member of the community.). Then recently I met a couple of friends who actually know their stuff, and we were introduced to some guys in Berlin who had the idea of Open Source Circular Economy days, a “hack” weekend where people could come together creating and solving challenges across the globe. 4 months later we are a global movement with more than 30 cities coming together (from Shenzhen to Cairo, Lome to Berlin). Come and be part of it! This is a chance to join the OSCEdays community, listen to inspiring speakers, find out what’s going on in the rest of the world on open source and the circular economy and put ideas into action. It’s open for all disciplines, skills, and interests, software, data, hardware specialists, designers, campaigners, communications and anyone who has an interest! Just be ready to be open, share, learn and collaborate on sustainable solutions. So far challenges have been developed in collaboration with The Great Recovery, Open Energy Monitors, The Rubbish Diet, The People’s Design Lab, and Cleanweb UK who will be with us along with other experts to shape something special using Open Source methodology to build a Circular Economy. It will be happening both online on our challenge forum and on the ground during the events, with the results openly shared. To come along register on Eventbrite. If you want to see more about the challenges go to our website.